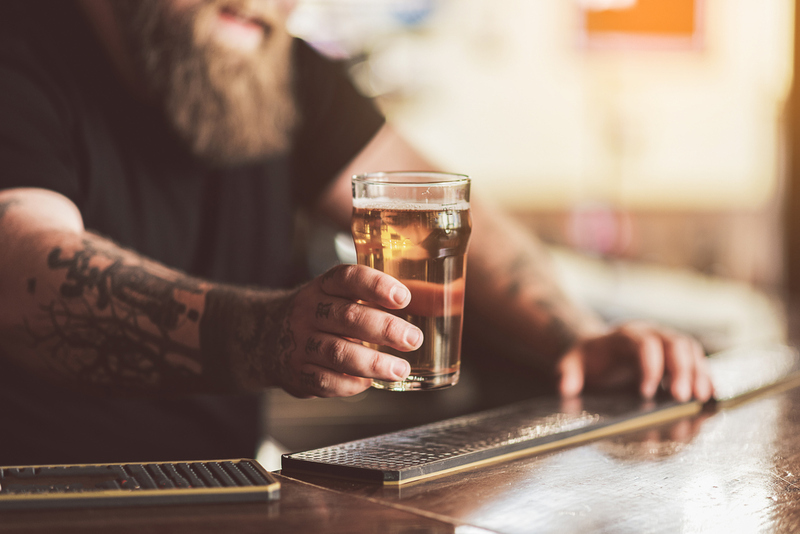 Wisconsin cities dominated a recent data-driven list of the top 20 drunkest cities and, in light of that, the Daily Beast has published an exposé on Wisconsin’s propensity for drunkenness. The article,"Wisconsin: Go Drunk, You're Home," only mildly accuses Wisconsin hunters of being responsible for the Badger State's beer-pounding legacy, but its local fishermen didn't fair as well. A remarkable 10 Wisconsin cities made the list of 20, with Green Bay occupying the No. 1 ranking. Many of the top drunkest cities were located in the Midwest, while Dothan, Alabama, did the South a solid by honoring it’s prudent residents with a No. 20 ranking on the “Driest Cities in America” list. St. George, Utah, ranked No. 1 as the driest city thanks to the large number of Mormon residents who are discouraged from consuming alcohol or tobacco. As for chart-topping Wisconsin, the Daily Beast beer piece wants to know why Wisconsin is, well, so very drunk? The writer speculates that maybe it’s the state’s German heritage or its dreadfully long winters. Ultimately she lands on several answers that converge to create a perfect storm. In fairness, the weather has to share some blame. Related: How Do Beer Preferences Among Hunters Compare to Those of Regular Americans? One bartender from Eau Claire who spoke to the Daily Beast puts it this way, “we have a drinking culture, but it’s not vomiting wackos and aggressive creeps. It’s just what we do.” Thus, the relaxed and easy marriage between beer and deer camp and beer and ice-fishing shacks. It's a relationship similar to all-day barbecuing and beer drinking. Granted, another factor is that Wisconsin brews so much of its own beer. It's abundant and cheap. And that foothold in the beer-brewing industry also gave the Badger State another No. 1 ranking late last year: Milwaukee’s own Miller Lite unseated longtime favorite Budweiser as the top-selling beer in America, according to Beer Marketer’s Insights. On the heels of the latest beer sales data, Grand View Outdoors polled hunters on social media to get a bead on beer brands favored by hunters. Shiner Bock, Busch Light and Bud Light were the top picks among social media users, while bourbon was by far the most popular liquor in hunt camp with brands Knob Creek and Blanton’s leading the way.